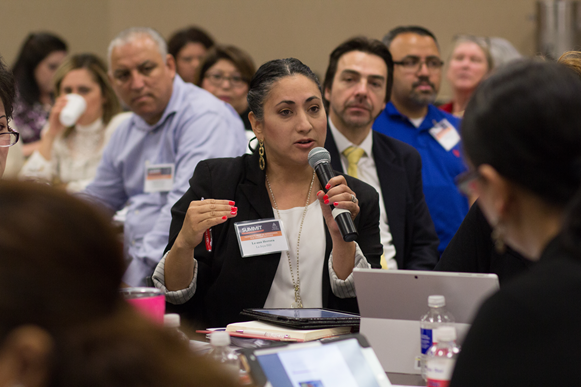 Student success is at the forefront of priorities for South Texas College’s College and Career Readiness Summit. The summit will provide a forum for public and private schools, as well as higher education professionals to engage in a dialogue on closing the achievement gap in college readiness for high school graduates. The annual event will feature a day-long slate of both relevant and timely issues facing educators today. This includes equality for undocumented students and what learners need now for success in the future of work. STC Dean for Dual Credit Programs and School District Partnerships Rebecca De Leon says the event also carries special significance. Keynote speaker Joel Vargas, vice president for JFF, will focus on what is essential for students to learn. He will also speak on what it means for shifting education to employment systems, as well as partnerships needed. For more information on how to register for the summit, visit southtexascollege.edu/summit/ or contact April Castaneda.